Founded in 2016, the company develops a machine-learning seismic algorithm used for the early detection of earthquakes. The company develops an online game in which players build and operate real e-commerce stores. The company provides software solutions for leisure and entertainment venues that include: ticketing, cashless payments, and guest management. Developers of an off-the-grid ecological village, including water, food, energy, infrastructure, and recycling. The company develops an innovative platform for real estate trading that is based on the possibility of issuing global assets as tradable digital units such as shares. The Jerusalem-based company develops a headset that uses electromagnetic fields to promote the natural recovery of the brains of patients suffering from paralysis. CallVU develops a mobile digital engagement platform that provides a visual interaction interface for call centers. The company offers an online marketplace where startup employees who lack the necessary funds to exercise their stock options can find investors, in return for a part of the potential future gains, for example, in case of an initial public offering. Glassbox offers a platform that collects data and provides analytics and insights pertaining to customer behavior across digital platforms and mobile applications. Formerly known as RealX, Home Hero develops an online real estate bulletin board that matches assets for sale with potential compatible buyers, and charges a commission on successful deals. HopOn develops a cloud-based transport management platform designed to offer public-transport fare payment and ticketing services. Jifiti develops a fintech platform that specializes in combining payment solutions and digital experiences for retail and branded companies and enables retailers to launch a payment plan offered through various financial entities, such as banks, without the need to integrate with the cashier's systems. RayCatch develops an artificial intelligence-based diagnostics and optimization software for the solar energy market. 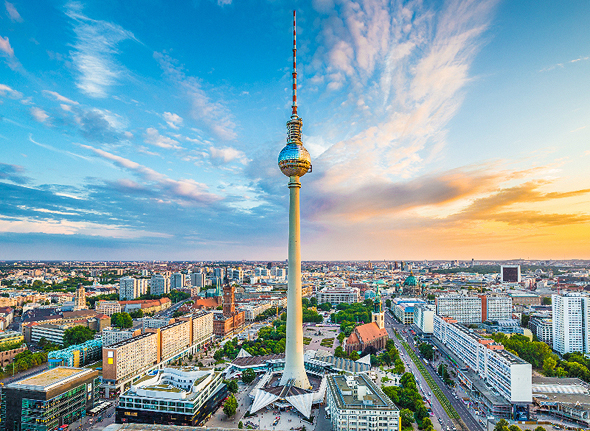 WeTechBerlin will be hosted by Calcalist, in collaboration with real estate company Aroundtown Property Holdings PLC, Israel’s Bank Leumi, its digital banking subsidiary LeumiTech Ltd., accounting firm KPMG, and the European investment fund Target Global. More details about WeTechBerlin can be found here .